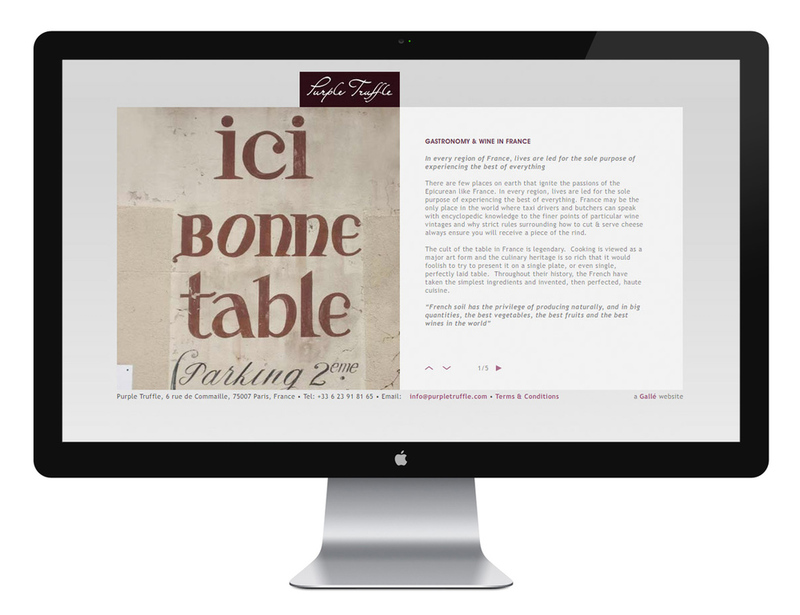 GALLÉ, DESIGN FOR LUXURY BRANDS: Brand identity and website for Purple Truffle, the epicurean travel company. Purple Truffle was a very interesting brand for us, since we are epicures ourselves and immediately understood the target audience and the kind of travel choices they might make. Style-wise, we combined minimalism with highly personal touches, writing the name out by hand and then stylising it digitally.